Honestly, I need to get a camera or something. This is the only photo I have that has anything remotely to do with this ride…and as you can see it does little justice to how beautiful the ride actually was. Compared to last year, the weather for the opening brevets has been incredible. I’ve already managed to get a forehead tan line and it’s only February. I’m ramping up this year to hopefully complete a Super Randonneur series. Despite only being back on the bike for the past couple of months, I’m feeling pretty good. I learned a bit from last year’s rides about nutrition and bonking, and luckily I haven’t had to experience the hurt of not eating properly before and during a ride. I am pretty sure though as the distance increases, I’ll have a few more run ins. 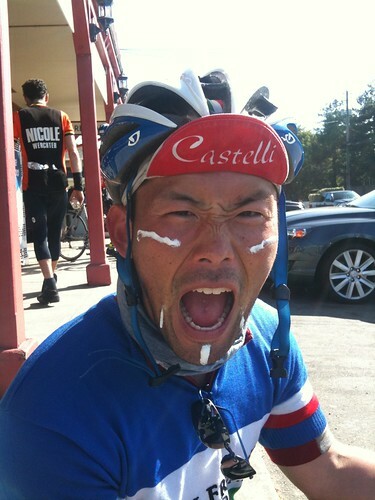 Two short weeks to go until the SF Randonneurs Russian River 300k. Last year I was really intimidated about this ride and now I am feeling a bit more comfortable with the distance. Here’s my Strava upload, which is an awesome service by the way! I can’t wait to see my year end stats.